3-4’ x 4-6’ Dubautia is one of the largest genera found in Hawaii. 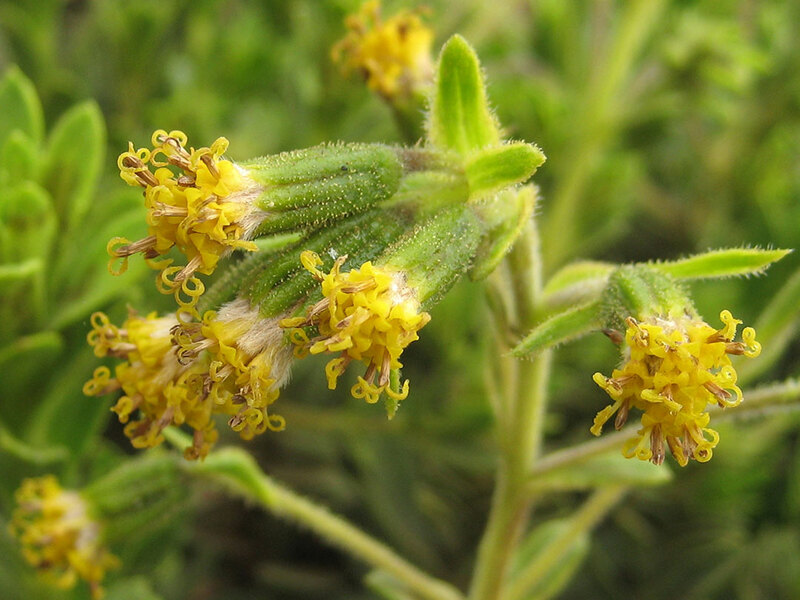 They are shrubby plants often with long bare stems topped with distinctive pared leaves. 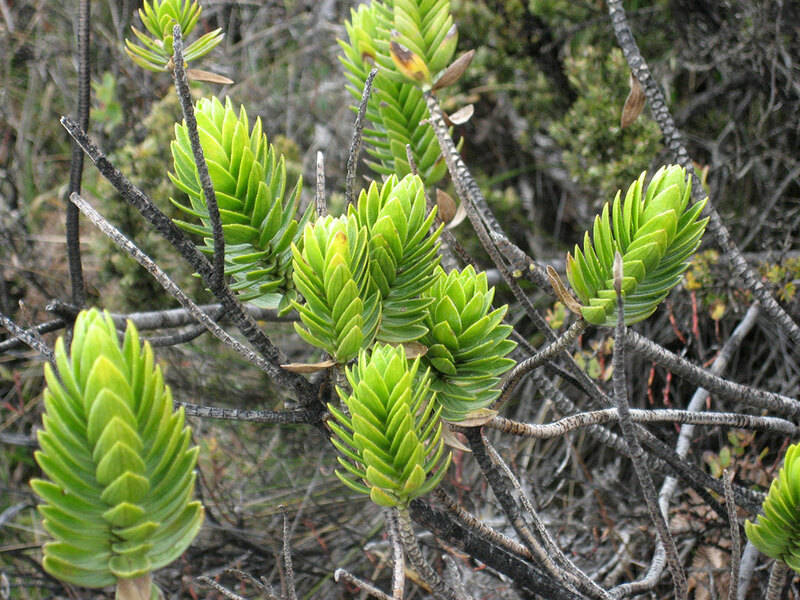 This species has sharp tipped, rather thick leaves set in whorls around the stem. 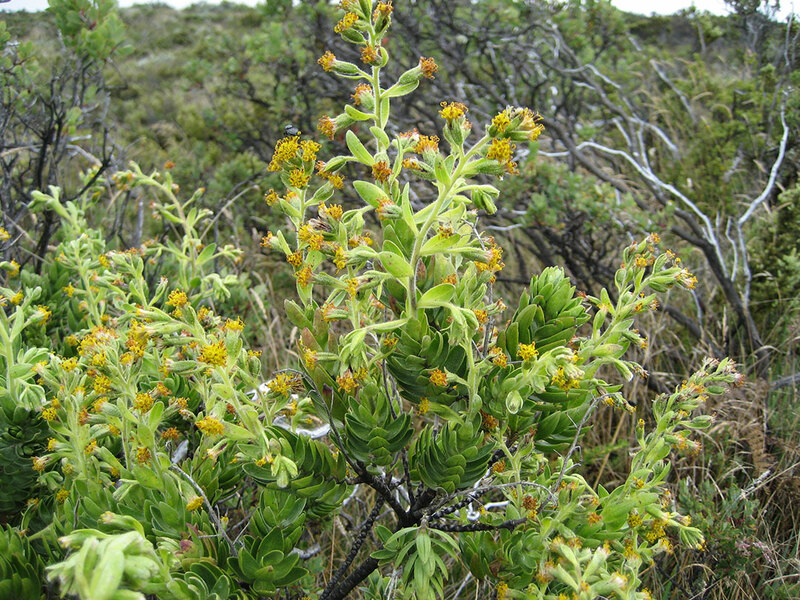 It grows at higher elevations on Haleakala. The deep yellow flowers are in clusters on the tips of the stems. Bohm, Dr. Bruce A., Hawaii’s Native Plants, Mutual Publishing, Honolulu, HI, pg. 37.